Learn to unite your awareness of nature as you nurture yourself. Take ‘practice’ opposed to ‘performance’ to new applications, approaching challenging situations of our globe with curiosity and consciousness. Inspire others to establish an internal connection with a global belonging. Bring a fun and new embodiment of freedom to your class or studio that truly brings the other limbs of yoga to life through personal service to world care. Teach your students about sustainable development in an engaging way, exploring the spirit of change. Educate on the movement of the body, and action of ideas. Are you part of a environmental or development group? Embrace social, environmental, economic, and community strength, with increasing your approach to important issues. Bridge the gap between personal growth, and global transformation. Are you looking for something fun to do with your coworkers and friends? Celebrate Earth Day doing something that strengthens your core and core values. Implement the buddy system and improve your mood while you learn how to improve the world. This Earth Day, Monday April 22, 2019, we’re creating a movement to learn about the Sustainable Development Goals (SDGs) in a whole new way: through embodying the 17 “Global Goals” in yoga poses. By designing a practice on the mat that weaves through each SDG, your brain can take a break while your body grounds the goals into your life off the mat. 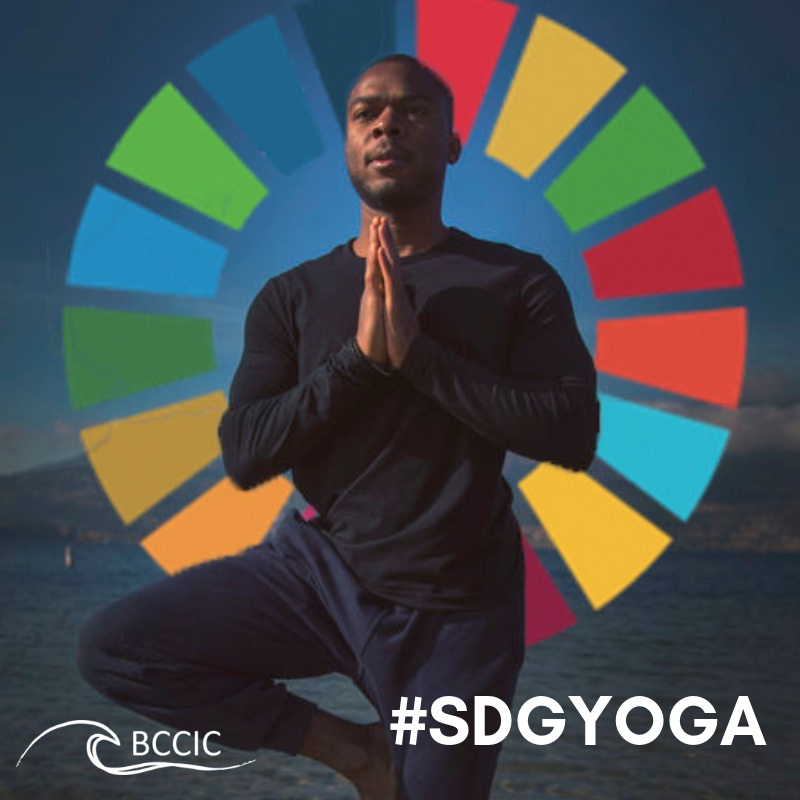 If you are inspired by the training, then the British Columbia Council for International Cooperation (BCCIC) is looking to partner with yoga studios across British Columbia, to host as many SDG Yoga sessions as possible on Earth Day this year. Stepping up to lead your own session! When you sign up we can help promote your event, where we will assist in spreading the word through social media and attract participants to your SDG Yoga session. We believe that if you, or your studio embody a strong sense of community and acceptance, you will enjoy taking part in our initiative to explore and promote sustainability through yoga on the International day of celebrating the Earth and the Environment. Find them on our Resource Page!